Gary L. McIntosh is President of the Church Growth Network and Professor of Christian Ministry and Leadership at Talbot School of Theology, Biola University. Recipient of the Win Arn Life-Time Achievement at award from the Great Commission Research Network, the Donald A. McGavran award from the American Society for Church Growth, the Distinguished Alumni award from Colorado Christian University, The Donald A. McGavran award from the Fuller School of Intercultural Studies, and the Robert B. Fisher award for Faculty Excellence at Biola University. Gary L. McIntosh was born in Colorado Springs, Colorado, USA. He developed a keen interest in music beginning in third grade, and participated in vocal music throughout his elementary, junior, and senior high school years. He was elected as president of his high school acappella choir and received the senior award for excellence in vocal music in 1965. In 1970 Gary graduated from Rockmont College (now Colorado Christian University) with a B.A. in Biblical Studies. Throughout his studies he was actively involved in worship and youth ministry, but pursued a career in business upon graduation. While managing a business in Denver, Colorado, Gary sensed God’s call to pastoral ministry and attended Western Conservative Baptist Seminary (Portland, OR), graduating in 1975 with a M.Div. in Pastoral Studies. After relocating to Southern California to pastor a Conservative Baptist Church, Gary entered Fuller Theological Seminary and graduated with a D.Min. in Church Growth Studies in 1982. Building on his interest in church growth, he served as Vice President of Consulting Services for Win Arn’s influential Institute for American Church Growth from 1983 to 1986. In 1986 he accepted an opportunity to teach at Talbot School of Theology, Biola University. In 2000 Gary, again entered Fuller Theological Seminary and graduated in 2005 with a Ph.D. in Intercultural Studies. Gary is currently Professor of Christian Ministry and Leadership at Talbot School of Theology, Biola University, where he teaches courses in the field of Pastoral Theology. The author of eighteen books and numerous articles, he has received the Faculty Excellence Award from Biola University, the Donald A. McGavran award from the American Society for Church Growth, the Distinguished Alumni Award from Colorado Christian University, and the Donald A. McGavran award from the School of Intercultural Studies, Fuller Theological Seminary. Gary also served as President of the American Society for Church Growth in 1995 and 1996. Dr. Gary L. McIntosh, has over 27 years of experience in the field of church growth consultation, coaching of church leaders, and workshop presentations. As President of the McIntosh Church Growth Network, Gary has analyzed over 1,000 churches, representing some 87 denominations throughout the United States, Canada and Southeast Asia. His articles have appeared in Global Church Growth, New Results, the Win Arn Growth Report, Leadership, Church Growth America, Growing Churches, and numerous denominational publications. Gary is editor of the Growth Points newsletter and to date, he has published eighteen books, six manuals, and over one hundred articles on church growth, evangelism, leadership, and pastoral ministry. 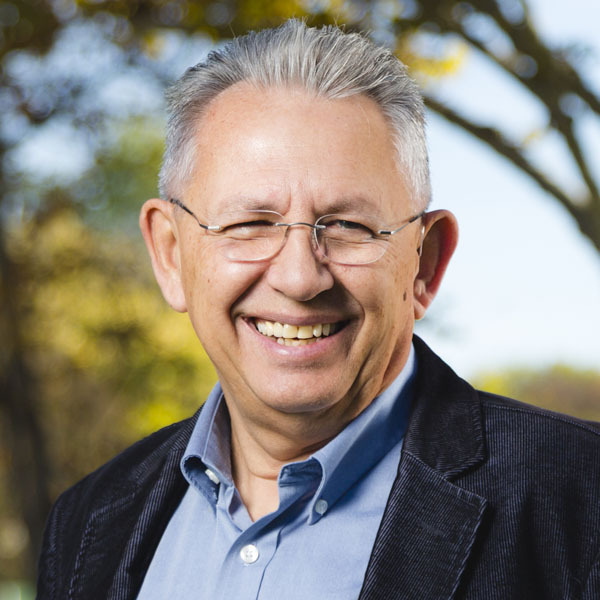 His books include: Finding Them; Keeping Them (1992), The Issachar Factor (1994), Three Generations (1995), The Exodus Principle (1995), Make Room for the Boom or Bust (1997), Creating Community (1997), Overcoming the Dark Side of Leadership (1998), One Church, Four Generations (2002) and Biblical Church Grouth(2003). In addition, he has authored or co-authored six manuals on pastoral ministry, among which are How To Develop A Pastoral Compensation Plan (1991), How To Start Small Groups (1992) and How To Develop A Policy Manual (1993). Dr. McIntosh was the 1995 and 1996 President of the American Society of Church Growth (now the Great Commission Research Network), a national society which networks professors, denominational leaders, and pastors interested in church growth. As a national seminar leader, Gary conducts approximately 20 workshops and seminars yearly on various church growth topics such as outreach, assimilation, long-range planning, church advertising, and worship.